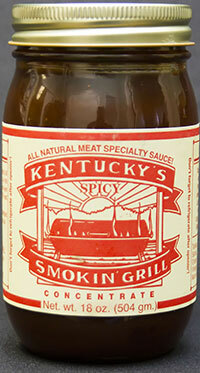 My husband and I love your Kentucky Smokin' Grill sauce. We use to buy Bull's Eye and KC Masterpiece BBQ sauce, but your sauce surpasses those. The flavor is outstanding!!! Yesterday I baked a ham and put your sauce on it. It tasted great!